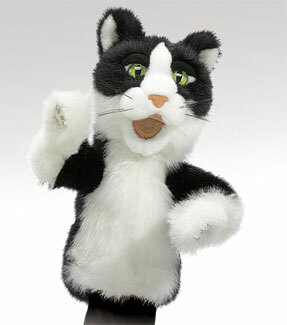 Folkmanis 2916 - Make your own "tomfoolery" with this mischievous TOMCAT puppet. Animate this character's mouth or use the arm pockets for some "paws up" action! Measures 20" x 5.5" x 15".